HON makes it easy to volunteer as a group by enabling you to create a volunteer team. A volunteer team can be as small as two people or can be larger for companies, civic groups, youth groups and places of worship. Once you create a team, you are automatically designated the team captain. The team captain searches for available volunteer opportunities and signs members of the team up to participate. Volunteer opportunities must have a volunteer cap large enough, as well as enough remaining open volunteer spaces, to accommodate the members of your team that you would like to volunteer in the project. Once you have registered as a volunteer, you can create a volunteer team. Our site makes it easy for you, as the team captain, to invite people to join the team, sign team members up for opportunities, manage team participation at opportunities, and communicate with team members. The section that follows includes some answers to frequently asked questions that might come up as you use this website to create and manage a volunteer team. 1. How do I create a volunteer team? What information do I need to provide for team members that I add to the team? 2. How do I update my team information and invite new team members? 3. After I create a volunteer team, how do I communicate with my team members? 4. How do I find volunteer opportunities that are appropriate for groups? 5. How do I sign my volunteer team up for volunteer opportunities? 6. How do I update which team members will participate in a volunteer opportunity that my team is signed up for? 7. What does Invited and Confirmed status mean with team members? 8. How do I sign up minors for a volunteer opportunity as part of my volunteer team? 9. How do I remove my volunteer team from a volunteer opportunity that we are no longer able to participate in? 10. How can I find a team opportunity that accommodates my business' group size or schedule? The following are the steps to create a volunteer team. Also included here is a short video that offers an overview of how to create and manage volunteer teams. You will be taken to the My Account section of our site. To the left, click on Create a New Team. You will then be asked to enter information about your volunteer team. Decide whether the team is private (by invitation only) or is open to any volunteer to join. Affiliate your team with a company or civic group if relevant. Add team members. If you have not provided a company or group affiliation, you will need to provide at least one form of contact information (email address or phone number) for each member added. Emails must be unique, but phone numbers do not need to be. If you want to designate a member of your team as captain in addition to yourself, you must enter that person's email address. When you create a team, you are automatically assigned as the team captain and added to the team. Click Create Team at the bottom of the page. Login to your volunteer account. To the left, click on My Teams. Identify which volunteer team you would like to update. Click Manage Team. To add new team members, click Add New Members. To remove a team member, select the individual and then click Remove Member. To make a team member a team captain, select the individual and then click Make a Captain. Identify which volunteer team you would like to communicate with. Click Manage Team. Select which team members you would like to send an email to and click Email Members. In the pop-up screen, write your email message and then click Submit to send. Things are always more fun when you get a group of people together, but finding opportunities for larger groups can be difficult. Using our Search Opportunities page can help you identify volunteer opportunities that are a fit for your group and service interest. Select the Find Opportunities tab. You should be taken to the Search Opportunities page. Enter all required information in the Basic Search box. Just below the Basic Search box, there is a section titled Additional Filters. Choose the Appropriate For filter. Select Groups and any other filters you wish to search by. *If you are unable to find an opportunity that fits your group's requirements and needs, click here to find a list of agencies that regularly accomodate groups of 20 or more. If you are a team captain, you can sign your team up for volunteer opportunities. If it is an Express Interest opportunity, then our Nonprofit Partner will contact you directly with further information about the volunteer opportunity and how to sign up after you Express Interest. An automated email will also be sent to you with contact information for the organization so that you can follow up with them if you do not get a response. Locate a volunteer opportunity that you are interested in and is appropriate for your team. At the bottom of the volunteer opportunity page, there will be a link that reads Or sign up with a team? (next to the larger Sign Up link). Click on this link. In the Option 1 box, use the scroll-down menu to select which volunteer team will take part. Click Select. A pop-up screen of your team members will appear. Choose which team members will take part in this particular volunteer opportunity. In the Upcoming Opportunities box, locate the volunteer opportunity that your team is signed up for and click Manage My Team. A pop-up screen of your team members will appear. You can select and unselect team members based on who will be volunteering. When a team captain creates a volunteer team and adds members to the team, these members are considered to be in Invited status. If you included an email address for a team member, then the site will automatically send an email invitation asking if the individual wants to Confirm their participation in the team. To confirm and officially join the team, individuals simply need to click the link provided in the email. If you do not provide an email address for a team member, or if that individual does not click on the confirmation link that they are sent, then they will remain in Invited status. As the team captain, you are able to sign up team members for a volunteer opportunity whether they have confirmed your invitation or are still in Invited status. Confirmed team members will receive email reminders about upcoming opportunities that you have signed them up for and will be able to remove themselves from opportunities if they cannot attend. It is your responsibility as the team captain to communicate with team members who are still in Invited status to make sure they know all the opportunity details. Please email them personally to verify that they will attend the project, and if they are unable to attend, you must take the responsibility of removing them from your list of team members who are signed up. While HON volunteer opportunities are always suitable for volunteers who are 18 and older, many of our opportunities are also open to minors. Minors are welcome to participate in these opportunities as members of a volunteer team. Follow the same steps as adding adults (see Question 1 above) to add minors to your volunteer team. However, when adding minors please enter the age of each minor in the Age column. To search for age-appropriate volunteer opportunities, expand the Basic Search and Search Options box that can be found just above the Opportunity Calendar. Then click on the dropdown Age of Volunteer menu, and select one or more age groups. Then click Search. Please see the screenshot below. If the volunteer opportunity is appropriate for your youth team members, then you will be able to sign those members up for the opportunity (see Question 5 above). Minors under 18 years of age will need to bring and have signed a Youth Volunteer Waiver form in order to volunteer. Because federal law prohibits children under the age of 13 from registering on our website, we recommend the volunteer team approach outlined above if you would like to sign up a minor under 13 for a volunteer opportunity. For more information about family volunteer opportunities, please visit our Families Page. Go to My Account and find the opportunity your team was signed up for. Click on Manage My Team. From either of these locations you have the option of modifying who is signed up for the opportunity. You can remove team members from sign up, change who is signed up, or remove the entire team. 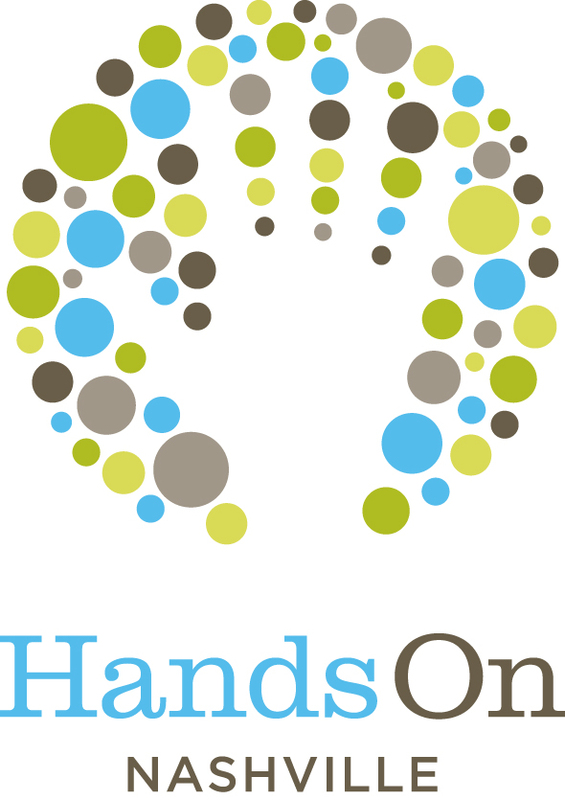 Hands On Nashville has 25 years of experience in developing and executing service projects. Over the years, HON has worked with hundreds of corporate groups, helping them to effectively conduct teambuilding and volunteer events that benefit the community. For a charitable contribution, HON can design and manage a meaningful custom service event for your team. Click here to learn more about the services we offer to businesses.